Hope you had a great summertime! See you very soon in our artistic projects! Please contact us mara.marnauza@choir.lv, if you want to become a part of our choir family! In the second part of World Choir Games 2014 from 14 to 19 July our conductor prof. Māra Marnauza was an international juror in the Champion competitions, evaluating categories: C10 Female Vocal Enesembles, C11 Female Chamber Choirs, C07 Mixed Vocal Ensembles, C13 Male Vocal Ensembles. 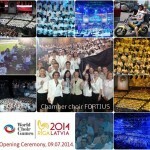 Jurors of the 8th World Choir Games Riga 2014. 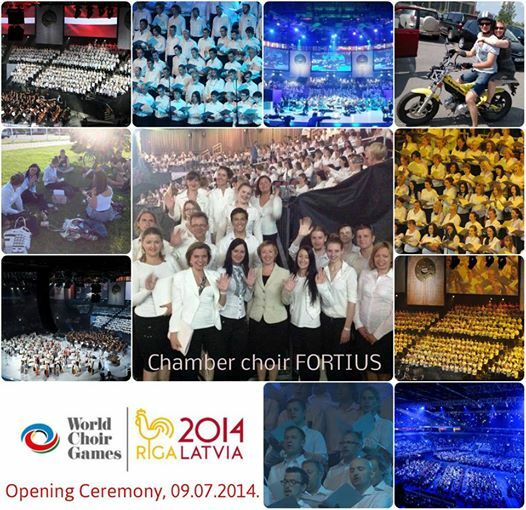 We have been a part of an event that is very important for our dear country Latvia! 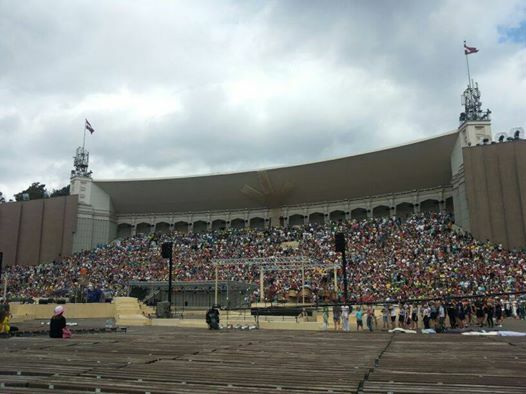 With the official Opening Ceremony of the 8th World Choir Games on 9 July, 2014 at the Arēna Rīga, we’ve introduced the happening that has peacefully gathered people that are full of love for song and life, as to believe the statistics – 27 000 participants from 74 countries of 5 continents. Our fabulous conductor Māra Marnauza – the Chief conductor of the 17th Baltic Students’ Song and Dance Festival „Gaudeamus”. 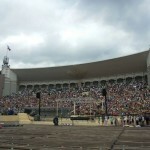 That is an honor to see our conductor to lead the joint choir consisting of Latvian, Lithuanian and Estonian students. 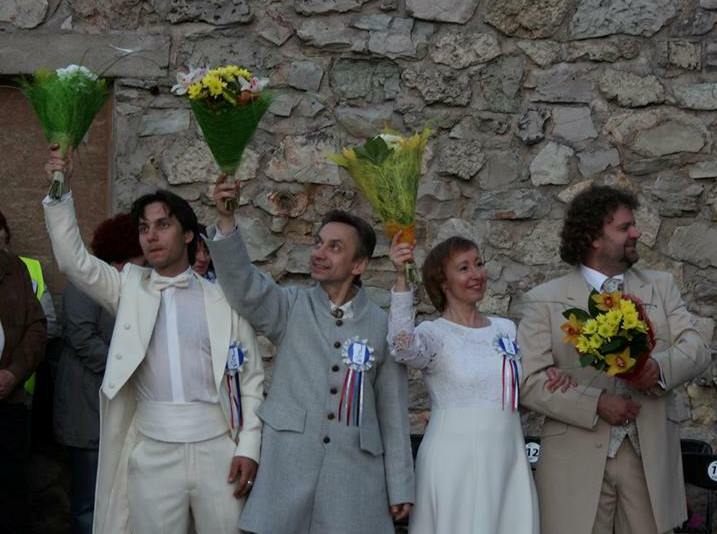 The three Baltic States share not only the Baltic Sea and the unique culture, but also an old tradition of song celebrations. 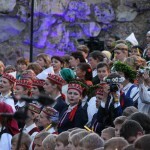 The students’ song and dance celebration “Gaudeamus” having existed for more than a half of century is a significant live cultural event of the three States, a shared tradition of students’ song celebrations on the Baltic seacoast. 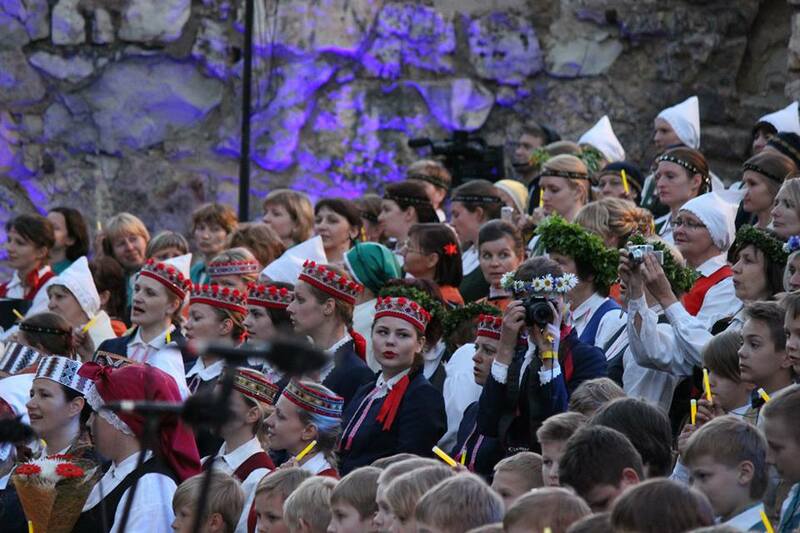 The 17th Baltic Students’ Song and Dance Festival GAUDEAMUS was held in Daugavpils, Latvia 27-29 June, 2014. Chamber choir FORTIUS and conductor Māra Marnauza was taking part in the concert devoted to the Communist Genocide victims on June 14, at 16.00 in the Gold Hall. 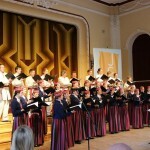 Concert was organised by The Riga Latvian Society’s Music Commission. 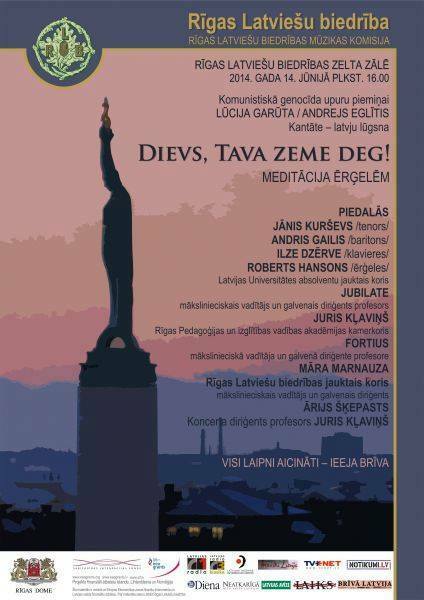 In the programme – cantata of Lūcija Garūta and Andrejs Eglītis – Latvian prayer “God, Thy Earth is Aflame!” – meditation for organ. Golden results for FORTIUS and conductor Mara Marnauza! 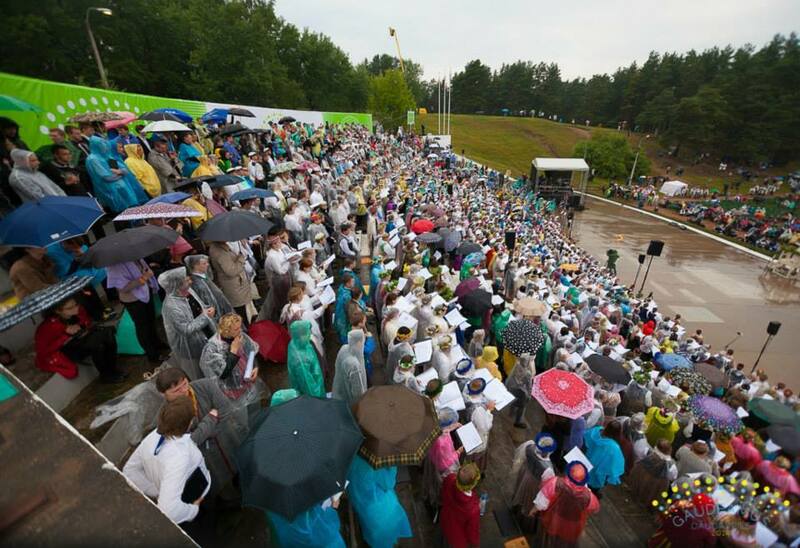 Celebrating Jānis Cimze 200 years anniversary there was a Song contest „Jaunā dziesmu rota” organized, May 31 in Valka. 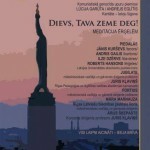 12 new Latvian folk song arrangements were presented in the final stage of the contest. 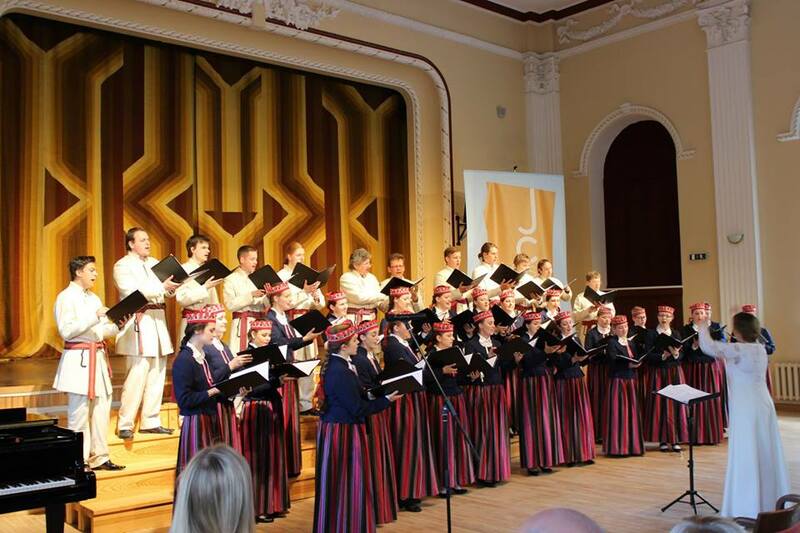 The highest number of points were granted to the songs that were performed by chamber choir FORTIUS: 1) Latvian folk song arranged by Andris Sējāns „Saulīt vēlu vakarāi” (performed by female group of chamber choir FORTIUS led by conductor M.Marnauza), 2) Latvian folk song arranged by Vita Ruduša „Mote dēleņu auklēja” (performed by chamber choir FORTIUS and M.Marnauza), 3) Latvian folk song arranged by Anna Veismane „Zviedz, zviedz sirmais zirdziņš” (performed by male group of chamber choir FORTIUS (conductor M.Marnauza) and male group of chamber choir AUSTRUMS (conductor Ārijs Šķepasts). Well done! 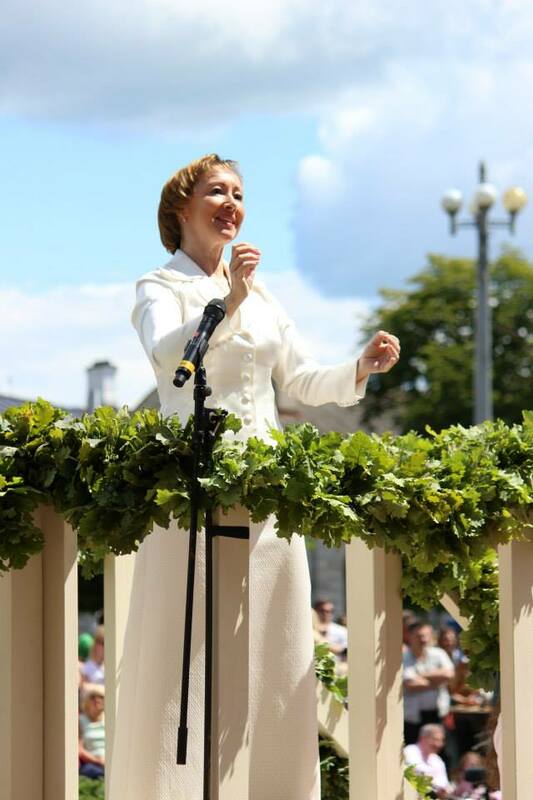 Our conductor prof. Mara Marnauza was among chief conductors at Latvian and Estonian joint song festival „Cimzes kods“ („Cimze code“) that was organized, May 31 on Valka open air stage, celebrating Jānis Cimze 200 years anniversary. Jānis Cimze 200 years anniversary has been marked in UNESCO event calender 2014-2015. Celebrating Jānis Cimze 200 years anniversary Latvian and Estonian joint song festival „Cimzes kods“ („Cimze code“) was organized, May 31 on Valka open air stage. Jānis Cimze 200 years anniversary has been marked in UNESCO event calender 2014-2015. 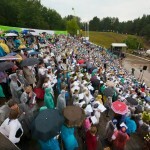 At concert classical Latvian and Estonian choir music was performed. In song festival 4 new musical works from Latvian composers Raimonds Pauls, Mārtiņš Brauns, Selga Mence and Estonian composer Renė Eespere was performed created specially for this event.